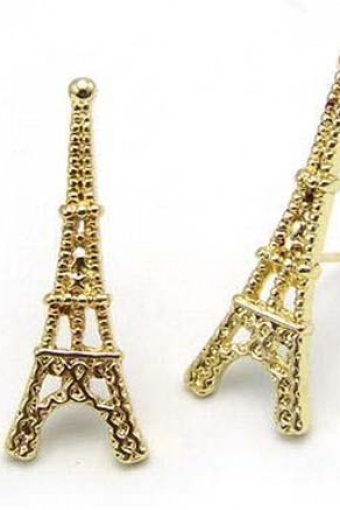 Cute earrings Eiffel Tower gold From Paris With Love! An ode to Paris: the city of Romance. Made of gold coloured metal (nickelfree). Also available in silver.